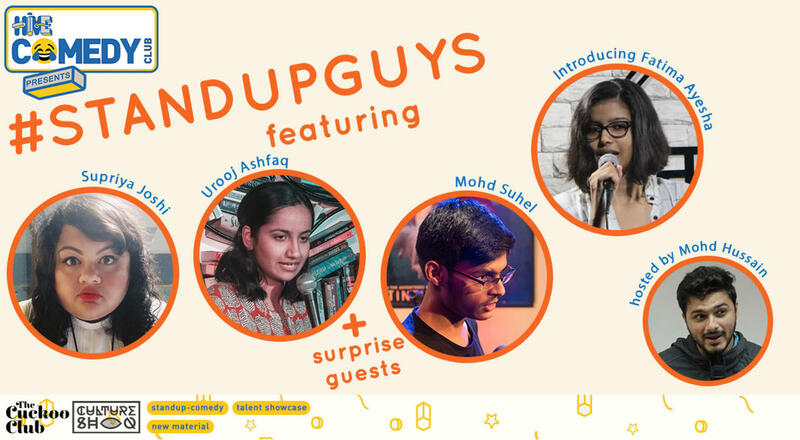 Supriya Joshi: Supriya Joshi aka Supaarwoman is a writer, comic and caped crusader battling the pointlessness of life, one meme at a time. Supaar covers a wide variety of topics from PCOD to why Govinda might actually be the second coming of Christ. After killing is on Facebook, Twitter and Instagram, Supriya has found a new weapon of choice in the microphone and she is coming to a stage near you. Mohd Suhel: Mohd suhel is an engineering student and a comedian. He has a YouTube channel with over 4 million views Has performed at venues like canvas laugh club, habitat, cuckoo club and kalaghoda festival. Mohd Hussain: South Indian by birth and Kachi by blood, he's an upcoming stand up comedian exceptionally good at eating and going to the gym from tomorrow, he is very talented at all things that cant earn him a decent living.